Looking for an easy way to dress up your next party in style? 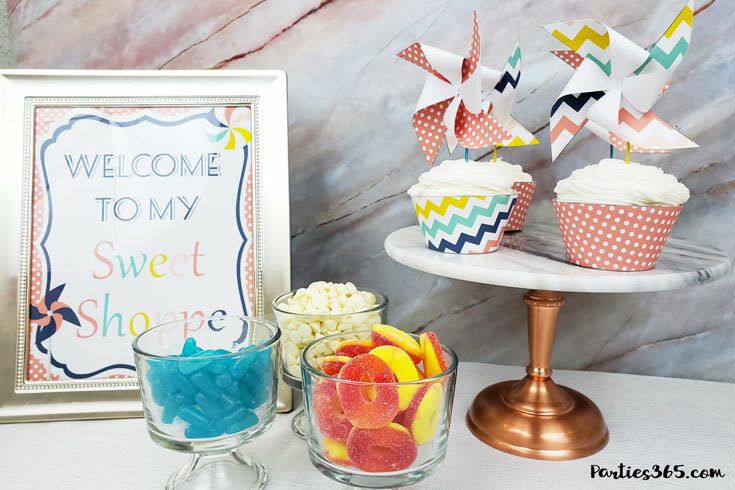 If so, you’ll love our navy and coral Pinwheel Sweet Shoppe Party Printable Pack! 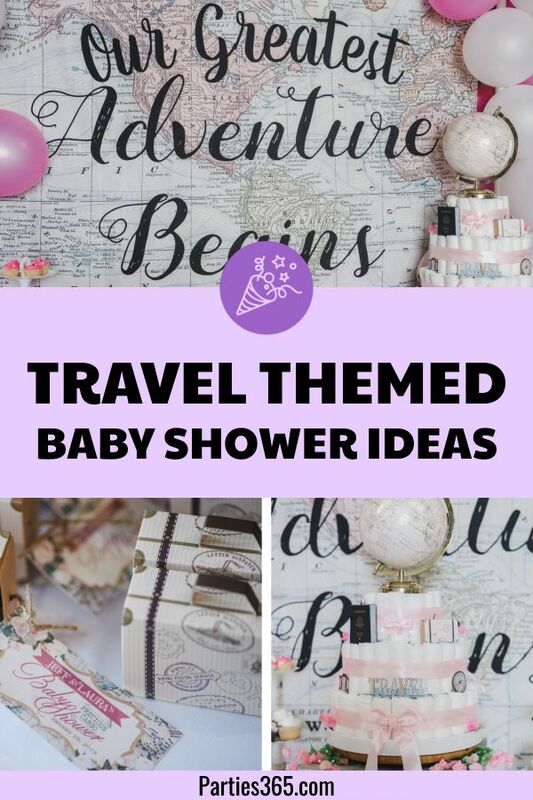 A “sweet shoppe” theme is a fun theme for birthdays, baby showers or even play dates. The bright colors and patterns of this printable set mixed with the playful pinwheels makes it a perfect decor option for the warmer days ahead. 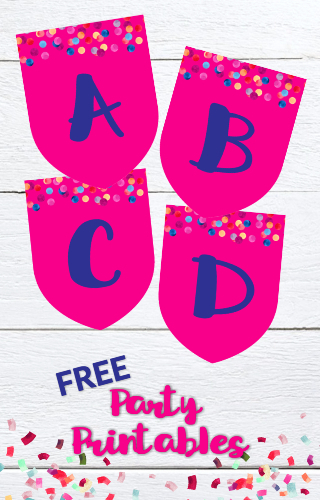 Keep scrolling for some party styling ideas and to download this free set for yourself! 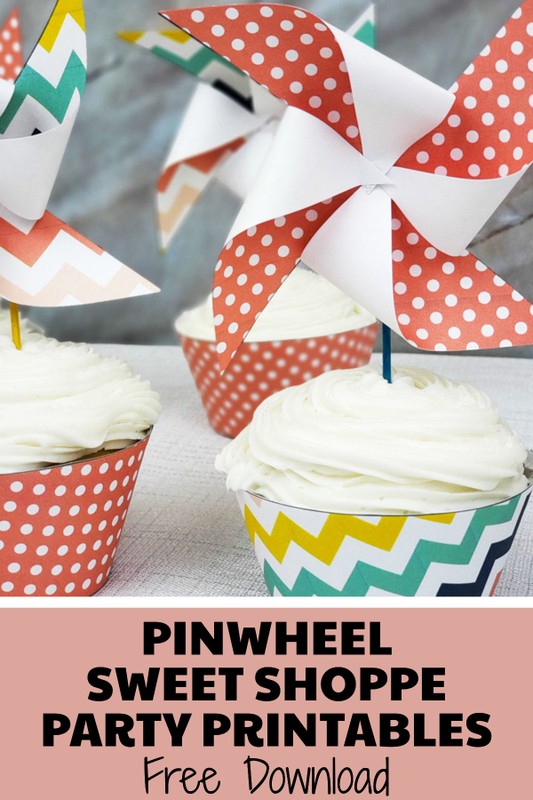 Pinwheels and Parties are so fun, SPIN on by and celebrate! 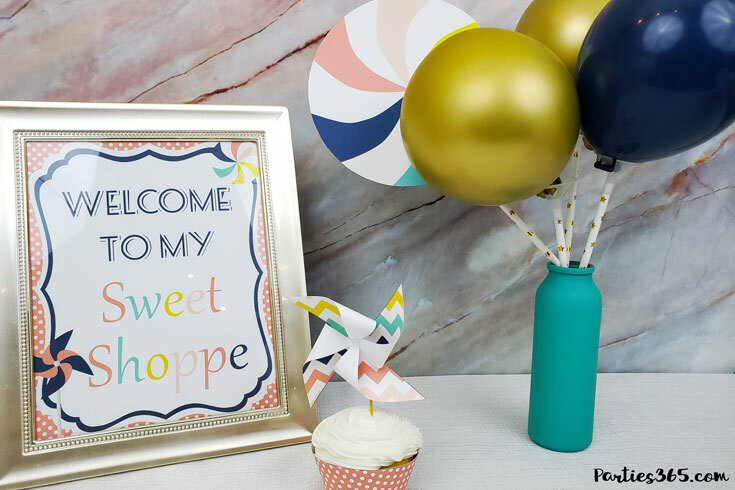 When you download the Pinwheel Sweet Shoppe Printable Pack you’ll find the darling Sweet Shoppe welcome sign along with the polka dot and chevron striped cupcake wrappers. 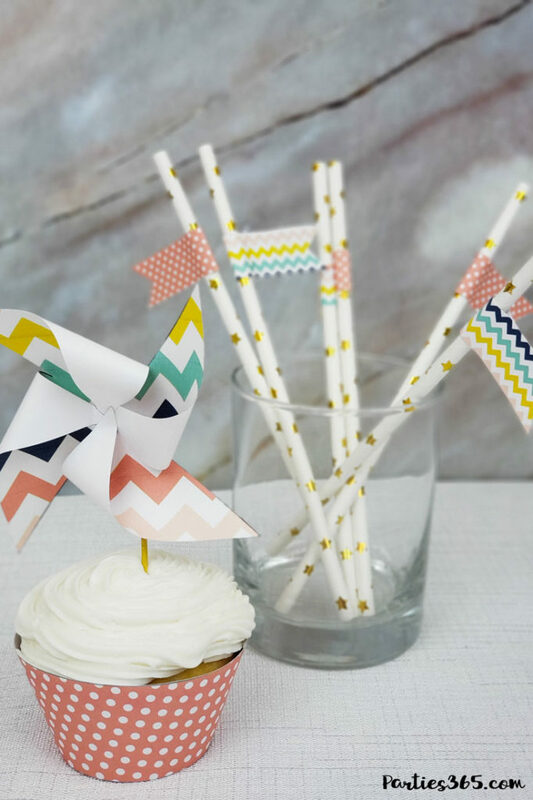 The printable pinwheels come in matching patterns and we mixed them up, attaching them to colorful toothpicks to make these fun cupcake toppers. My daughter went crazy for these and thought they were the cutest! I’d have to agree! 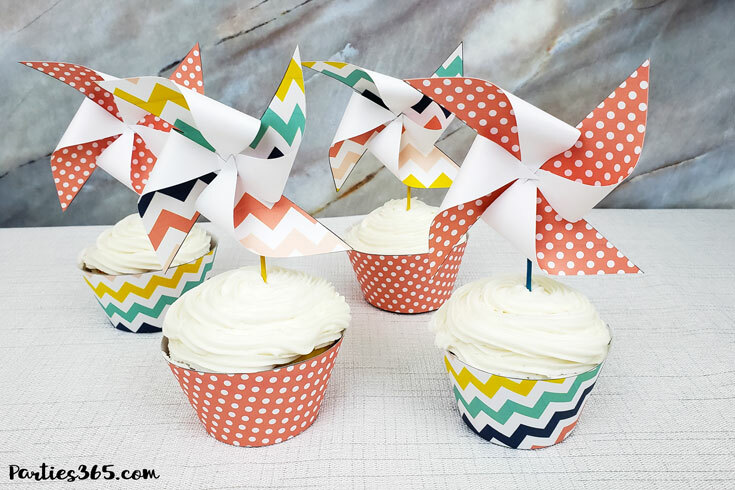 There are so many things you can do with these pinwheels too… you could string them together and make party banners to hang around your house. 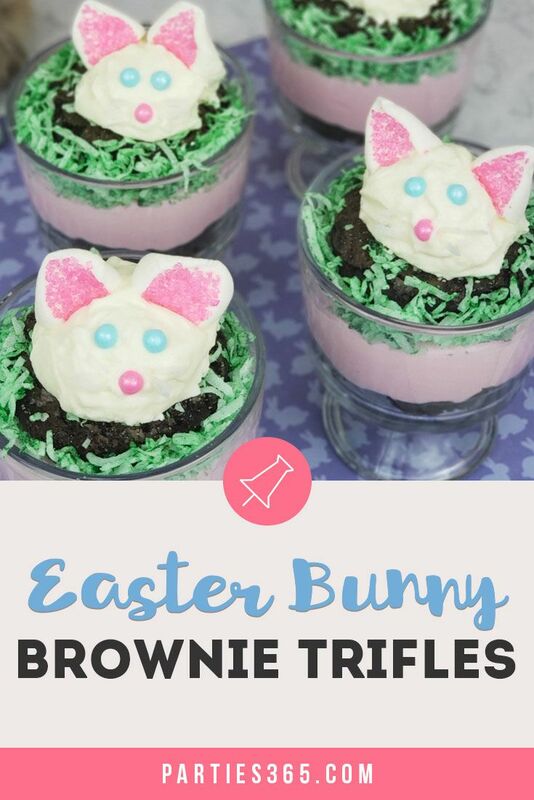 You could attach them to pixie sticks as party favors or use them as decoration for your cake. You could even put them in the middle of coordinating paper fans or attach them to balloons like a bow! The Pinwheel Sweet Shoppe Printable Pack also includes the big peppermint like candy we added to the balloon bouquet. You could use these for your party banner or as tabletop decor, kind of like giant confetti (or reduce the size by printing them small). 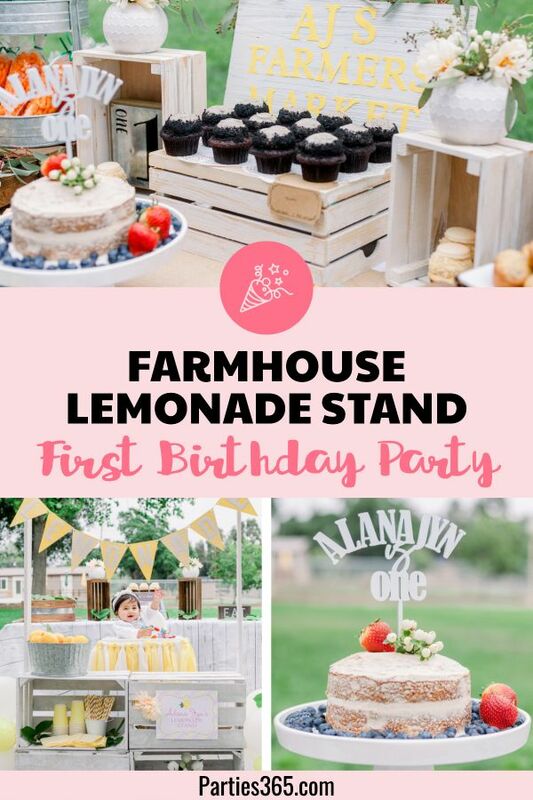 Although not pictured here, the set also includes a coordinating “Happy Birthday” pennant banner, “Thank You” favor tags, a Gift Card Sign, a blank invitation and place cards. 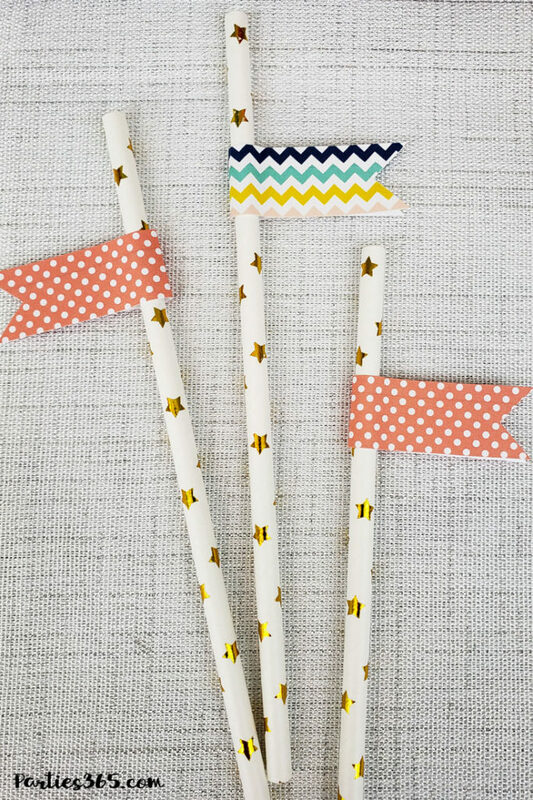 The matching polka dot and chevron flags look adorable on these gold star paper straws that the kids are sure to love or your could use the flags as cupcake toppers too! 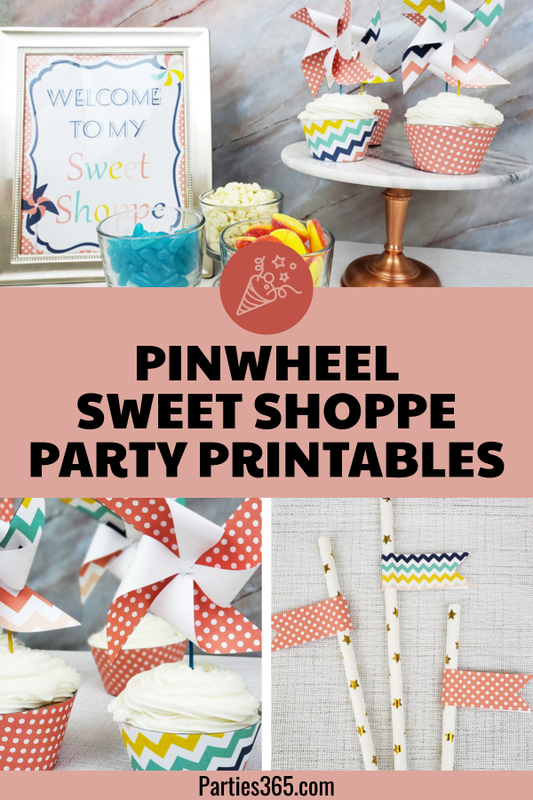 This Pinwheel Sweet Shoppe Printable Pack is inside our FREE Party Printables Library! Download it today and make decorating for your next party super easy and fun!